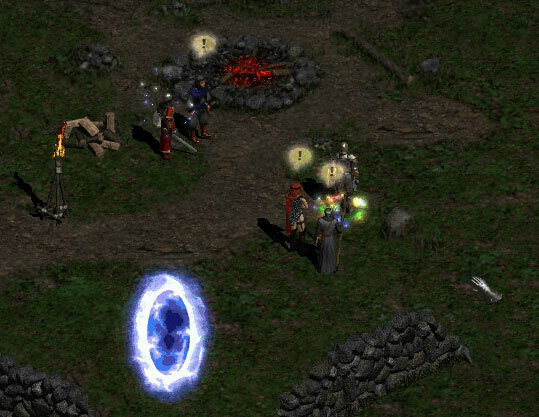 Did anyone notice that, when the Player's character is arriving at the Rogue Camp at night time, Deckard Cain and Kashya are standing close to each other, but when the Player character approaches, Kashya leaves hastily to her daytime place as if she has done something wrong? "Dost thou, Deckard Cornelius Cain (they always have middle names in films!) take this lady, Kashya of the Rogues, as thy lawful wedded wife. To have and to hold, for richer, for poorer, in sickness and in health. For as long as thy both shalt live"